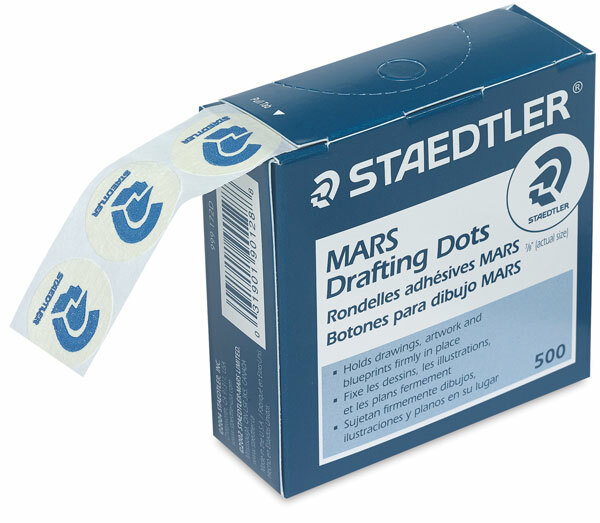 Self-adhesive Staedtler Drafting Dots hold drawings, fine art, and blueprints firmly in place while you work. Easy to dispense and repositionable, they come in a convenient, pull-tab box. Staedtler Drafting Dots measure 7/8" (2.2 cm) in diameter.